Beauty Products Reviews, Beauty Samples Free - Contact Us! Are you a blogger or blog owner who loves staying on-trend with the hottest makeup, skin care, and hair care products? 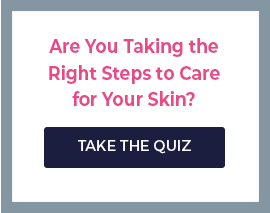 Here at Skincare by Alana, we are always looking for influential voices to test our products for themselves, and to share their experiences with their followers. If you love beauty like I do, you are all about finding and testing the most effective products, and sharing those results with everyone in your reach. This passion for effective beauty care is precisely why I have decided to allow bloggers & blog owners the opportunity to test Skincare by Alana products for FREE. What Kind of Products Will I Find at Skincare by Alana? Skincare by Alana is one of the leading authorized online retailers of natural, organic, hard-to-find, day spa products! We carry numerous brands to treat individual skincare concerns, as well as some of the top cosmetic and hair care brands for the most beautiful, healthy you. I am so proud to offer top spa brands including: Epicuren Discovery, Image Skincare, Rhonda Allison, La Bella Donna, and more! To compliment our amazing product selection, we have an amazing team of estheticians who are trained personally by me, Alana. We are always happy to help our customers find the perfect products for their individual skin types and needs - meaning less "trial and error" frustration, and more beautiful skin!